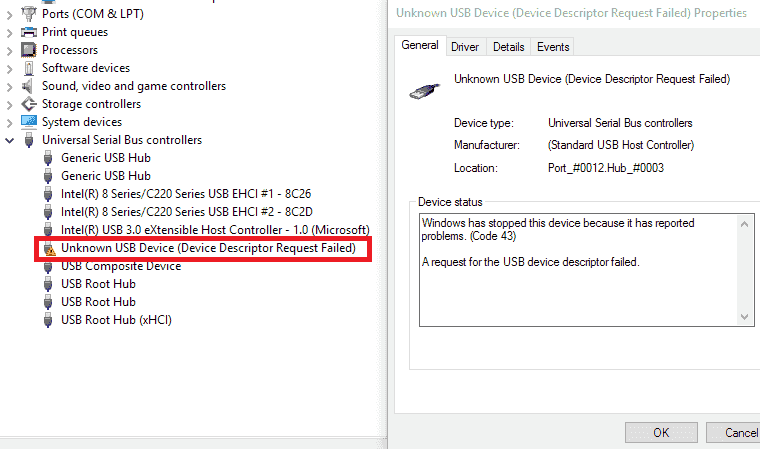 How to Fix Unknown USB device (Device Descriptor Request Failed) in Windows 10/8/7? 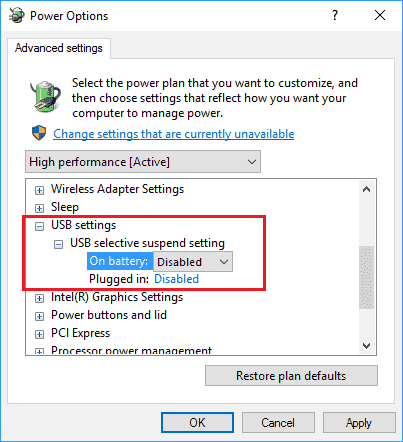 Position: How Tos - How to Fix Unknown USB device (Device Descriptor Request Failed) in Windows 10/8/7? We just mentioned a couple of solutions to fix unknown USB device (Device Descriptor Request Failed) error. We hope these methods can help you and now you can repair it on your own. Also, if the USB drive contains important data, you should apply data recovery before trying any repairing actions. If you have better solutions or any questions regarding this issue, please feel free to contact us. Your USB device cannot be recognized or reports device descriptor request failure error in Windows 10/8/7? We use USB devices all the time and it is quite frustrating when it is malfunctioned, not working or not recognized in Windows. The USB device_descriptor_failure is one of the issues we often encounter. In this article, you can find 8 reliable solutions to fix the problem and make your drive work again. When it comes to transferring data from one device to another, USB (Universal Serial Bus) devices might be the first choice. USB devices come in various types, such as USB flash drive, memory card, pen drive, etc. They are portable, small-sized and large in capacity, making users carry huge amount data or transfer data between devices. The USB device descriptor is used to store information for USB drives and it is responsible for recognizing different USB devices. If it fails to work properly on Windows 10, the USB drive cannot be recognized by system and you may get errors like code 43. When you insert the USB device to your computer, you may get following message depending on your PC. "USB device not recognized. The last USB device you connected to this computer malfunctioned, and Windows does not recognized"
"Try reconnecting the device. If Windows still does not recognize it, your device may not be working properly." "Unknown USB device (device descriptor request failed) code 43"
If you open Device Manager, you can see the USB device which is displayed under Universal Serial Bus controllers is marked with a yellow exclamation and with message "Unknown USB Device (Device Descriptor Request Failed)". If you check its properties, you can see error message "Windows has stopped this device because it has reported problems. (Code 43). A request for the USB device descriptor failed." on the General tab. "I have a 16GB USB flash drive that I haven't used in about a year. Now I constantly get a massage saying that the device has malfunctioned. Device Manager shows similar massage. I formatted the USB drive twice now and still get the error. I tried unplugging and plugging the device, but nothing changes. I cannot find any further information about the USB drive in Device Manager except the hardware ID is USB\DEVICE_DESCRIPTOR_FAILURE. What should I do to be able to access the USB device properly?" Windows cannot find the description of the USB device in question. The USB device that reports error code 43 cannot communicate properly with computer, as there might be a connection issue. The device is using corrupted, damaged or outdated drivers. There are errors in some software or hardware components, for example, USB port is broken. The USB controller you are using is corrupted or unstable. BIOS system is not updated to the latest version. The USB drive is damaged, such as it contains bad sectors. If you are troubled by this issue now and have no idea how to fix it. Just continue reading the rest part which will present a couple of methods to help you troubleshoot this issue without losing data. The first move to fix the issue should be making sure the USB device and connection is in good condition. If there is not hardware issue, you need to move to other solutions in this post. Step 1 Unplug the USB device which reposts not recognized error and insert it to another USB port to see if it can be recognized properly by Windows. This can make sure if the issue is caused by damaged port. Step 2 Insert the device to a different computer to check if the USB device descriptor error is causes by PC itself. Step 3 Remove power plug from your laptop. Then restart computer and insert the USB device. Then check if the issue can be solved. 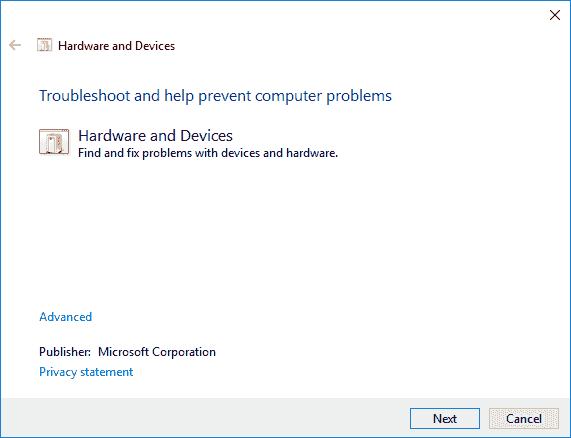 If your computer has installed Windows 10 Creator Update, you can try the new troubleshooting tool to fix the problem. It is a Windows built-in universal troubleshooting tool and it can be used to check and repair various system problems. Step 1 Click "Start" menu and select the Settings icon. Step 2 On the popup-up window click Update & Security option. Step 3 Click "Troubleshoot" on the left pane and look for Hardware and Devices option on the right pane. Step 4 Click button "Run the troubleshooter" and wait for the troubleshooter to finish. If any problems are found, it will fix them automatically. The USB device descriptor failure issue usually has something to do with problematic USB drivers, for example, USB drivers on your computer might be outdated, corrupted, missing or broken. Therefore, you can try updating USB driver to fix the issue. Step 1 Open Device Manager. Press Windows key and R together to open Run dialog box. Type devmgmt.msc in Run and click OK to open Device Manager. Step 2 Browse the list and expand category Universal Serial Bus Controllers. Then you can locate the malfunctioned USB drive which is tagged with a yellow sign and named with "Unknown USB Device (Device Descriptor Request Failed)". Step 3 Right-click on it and select Uninstall option from context menu. Once drivers are uninstalled successfully, restart computer and Windows will reinstall the device automatically. Step 4 If Windows cannot install drivers correct, you can go to manufacturer's site of your USB drive and download the latest drivers. Then you can install drivers manually. Bad sectors are areas that cannot be read or written, if a disk contains too many bad sectors, you'll have to consider replacing it with a new one. Here we'd like to recommend free partition manager software to check and repair bad sectors on USB drive. 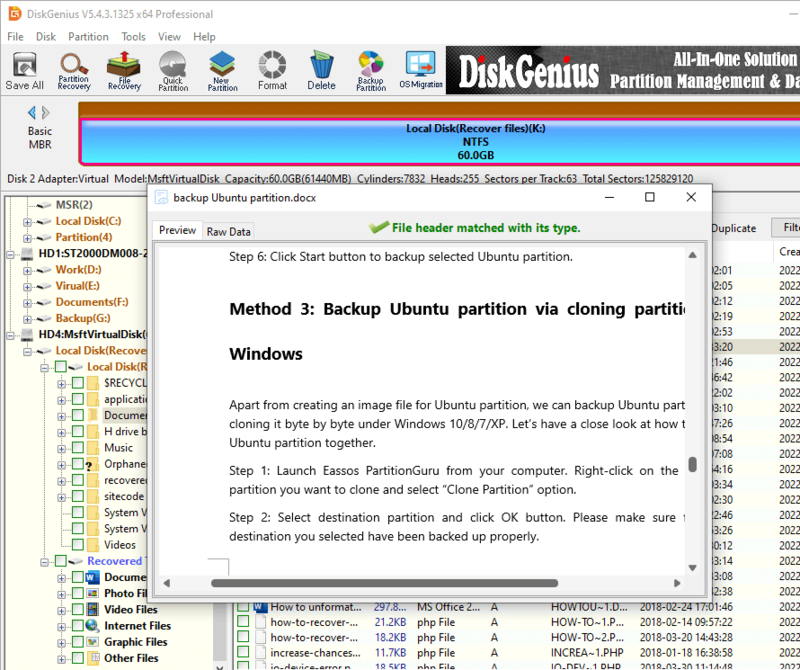 You can download DiskGenius and follow steps below to repair damaged USB drive. It should be noted that bad sector repairing process damages data and you should back up or recover data first if you want to repair bad sectors on USB drive. Step 1 Launch DiskGenius and you can see the USB drive in the main interface. Step 2 Select the USB drive from the left pane and click "Disk" menu to select "Verify or repair Bad Sectors". Step 3 Click "Start Verify" button below and the software starts to scan the USB drive. Step 4 Complete the scanning complete, DiskGenius reports if any bad sectors have been found. If the USB drive contains bad sectors, you can click "Repair" button to get them repaired. 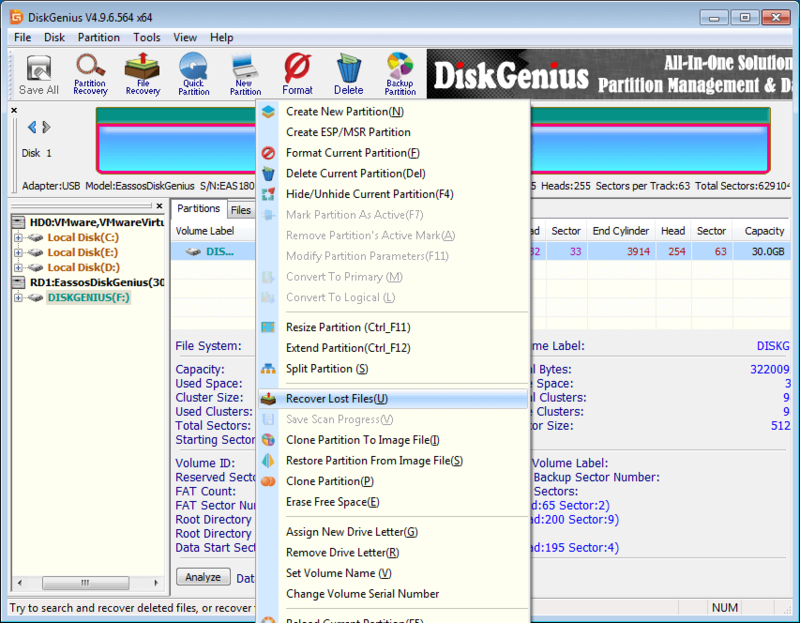 Step 5 DiskGenius prompts repairing bad sectors damages data and you should create back up in advance. Click OK to continue. The fast startup feature relates to hibernate and shutdown, which is designed to make computer boot faster. However, some users report that this feature makes computer performs so quickly that Windows 10 cannot detect USB device and the USB device descriptor failure appears. If that is the case, you can follow these steps to turn off fast startup. Step 1 Press "Windows" key and "R" key from keyboard at the same time to open Run dialog box. Step 2 Type "control" in searching box and click "OK" button. This will open Control Panel. Step 3 Type "Power options" in the search box of Control panel and click "Change what the power buttons do" from searching result. Step 4 Click "Change settings that are currently unavailable" link under Define power buttons and turn on password protection. 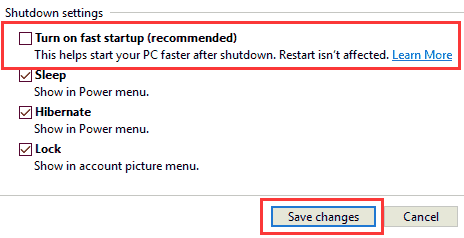 Step 5 Unselect "Turn on Fast Startup (recommended)" option under Shutdown settings and click "Save changes" button. Then restart computer and check if the USB device issue solves. Step 1 Open Control Panel and click System Security, and you can find and click Power Options. If you are using laptop, you can right-click on battery icon and select Power Options. Step 2 Expand "Show additional plans" and click "Change plan settings" link which belongs to High performance option. Step 3 Click "Change advanced power settings" from the lower part. Step 4 On the Advanced settings tab find and expand "USB settings". Then expand the sub-category "USB selective suspend setting". Step 5 Select Disabled for both "On battery" and "Plugged in" settings. Click "OK" and "Apply" buttons and reboot computer. Step 1 Right-click on Start menu and select "Device Manager", and this opens Device Manager. Step 2 Browse the list and expand option "Universal Serial Bus controllers". Step 3 Right-click "Generic USB Hub" entry and select "Update Driver Software" from context menu. Step 4 Now the "Update Driver Software Generic USB Hub" window pops up and you should select "Browse my computer for driver software". This option helps to locate and install driver software manually. Thus you may need to download the driver to your computer beforehand. If you cannot find drivers, you can try selecting "Search automatically for updated driver software". Step 5 Select "Let me pick from a list of device drivers on my computer". The list will show installed driver software compatible with the device, and all driver software in the same category at the device. Step 6 Select Generic USB Hub item and click Next button. Then wait for the installation to finish and close. Method 8: How to recover lost / deleted files from USB flash drive in Windows? This method can be used to retrieve deleted of lost data from damaged USB flash drive, SD card, external hard drive, HDD, virtual disk, etc. If your USB drive which cannot be recognized by Windows holds important files that do not have a backup, you should perform USB flash drive recovery in the first place. Step 1 Install and launch DiskGenius from your computer. Then you can view the malfunctioned USB device in this software. Step 2 Right-click on the partition or drive from which you want to recover lost data, and select "Recover Lost Files" option. Step 3 Select recovery mode and click "Start" button. To recover data from malfunctioned or not recognized USB drive, the "Complete Recovery" mode should be selected. Also, the "Search For Known File Types" option should be selected, because this option performs deep scanning and it is very useful when retrieving data from damaged drive. Step 4 Preview files to check if files are correct. You can double click a file to view file content in its original size, thus you can make sure if the file can be correctly recovered. DiskGenius supports previewing photos, documents (MS Office files, PDF, Text, etc), video and audio files. Step 5 Recover files from USB disk by copying them to a different location. 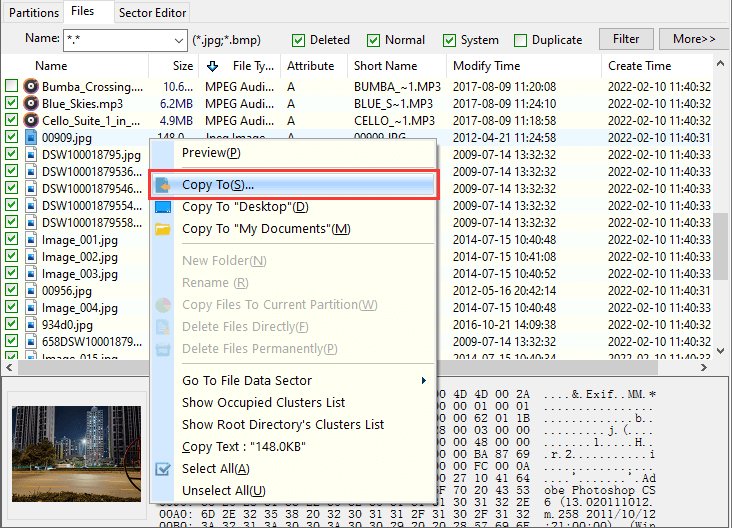 Select files you want to recover, right-click them and select "Copy To". Then you can specify a location to save recovered data.